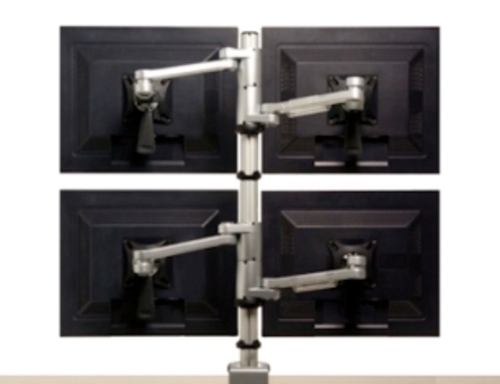 A single post monitor stand with pivoting arm and bolt through or desk clamp mounting. Available in single and dual models. Dual model can hold up to four screens. Adjustments include tilt, rotation and pan functions. Daisyone Monitor Arm - Desk clamp - for desk < 67 mm thick; Bolt through - for desk < 75 mm thick. Daisyone Dual Monitor Arm - Desk clamp - for desk < 67 mm thick.